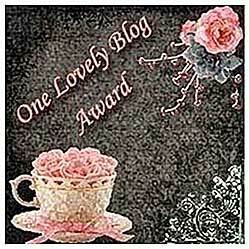 simply.food is honoured to receive some great awards from fellow bloggers. Thankyou Harika of Harikas Kitchen. Harika has a wonderful blog and I am particularly drawn to her Fruit and Vegetable carving skills. Do drop by and check her blog out. I would also like to thank RS of Relishing Food who shared the same awards with me.I recently discovered RS'S blog and I must say she has a nice selection of recipes that are particularly children friendly. Do drop by and check her blog out. I would like to share these awards with all my blogger friends that pass by here.Please feel free to accept the awards and post them on your blogs. Congrats on the awards...Many more to come..
Congrats on your awards! Have a wonderful weekend!